News — To Love a Canine Rescue, Inc.
18 more lives saved this week! 2869 lives saved since TLC started opening our arms and hearts to dogs in need. In just under 6 years, TLC has placed close to 3000 dogs in warm, loving, safe homes. We’ve given them a chance to thrive and live somewhere other than a cold, scary shelter. Would you like to help us reach the 3000 lives saved milestone? 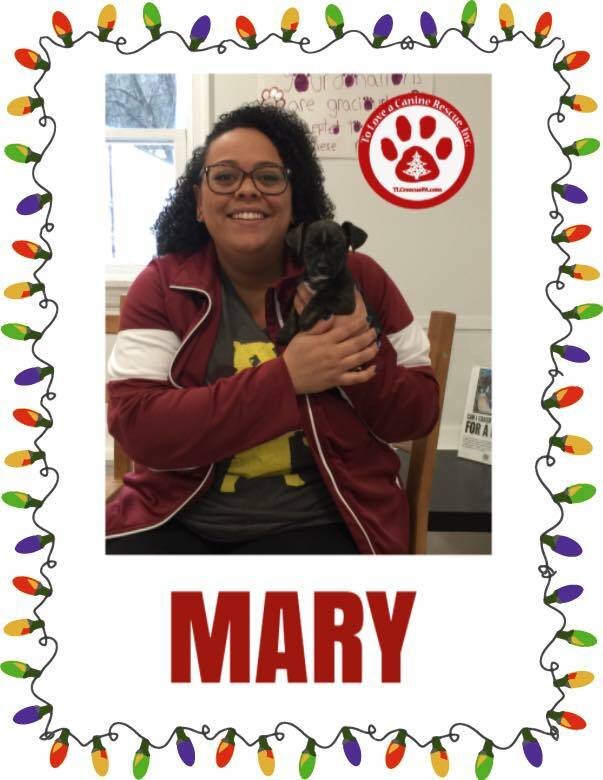 Apply here to adopt your new canine buddy and maybe you’ll be the lucky adopter of our 3000th dog! 18 dogs found their forever homes this week. That’s 18 dogs that were loved by foster families until their big day! Have you ever thought about being a foster to a dog? With TLC, we make it very easy. We’ll give you all the supplies - food, crate, toys, towels, blankets, support and training. All you need to do is have a big heart and love the dog until it finds its forever home. If you want to apply to help us help dogs in need, click here. Another week in the books and 18 more lives were saved! We find dogs homes, yes, but we do much more than that. We give the dogs something they didn’t have before they hitched their freedom rides. We give them a chance. We give them a chance at life. We give them a chance to be happy. We give them a chance to be loved. We give them a chance to trust and love. The families that adopt from us take a chance on us to deliver - and we do. Don’t all dogs deserve a chance?? We think they do. Would you like to help us give dogs the chance they deserve? Click here. 71 new tomorrows in 20 days! Even with the threat of ominous weather and frigid temperatures, To Love A Canine was hard at work this week finding 13 dogs new tomorrows. 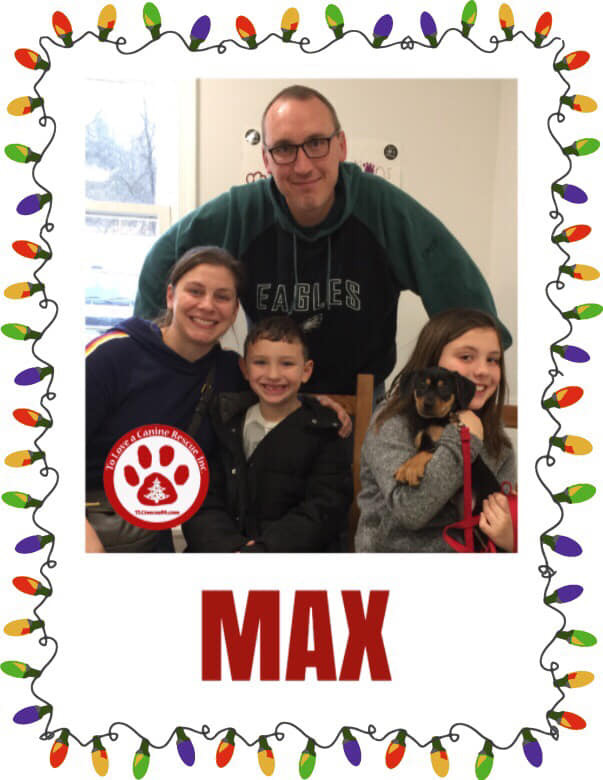 71 dogs have found homes in the first 20 days of 2019! Approved adopters were waiting to meet Tig, Rhonda and Ned at our Meet & Greet in Downingtown. Meet & Greets are a great way to see our available dogs when trying to find your new family member. Check out our Events page to see a schedule of upcoming events where you can see our dogs in person!! To Love A Canine - Working hard to give our dogs a well deserved new beginning. This was a big week for TLC! Saturday morning we welcomed 23 dogs who took an 18 hour freedom ride from Mississippi. Our super fosters welcomed them with open arms and warm homes to get them ready for their turn to find a new home. Not only did we take in 23 dogs, but we created new tomorrows for 33 dogs. 33 dogs are safe, warm and loved by their forever families thanks to the hard working teams at TLC. 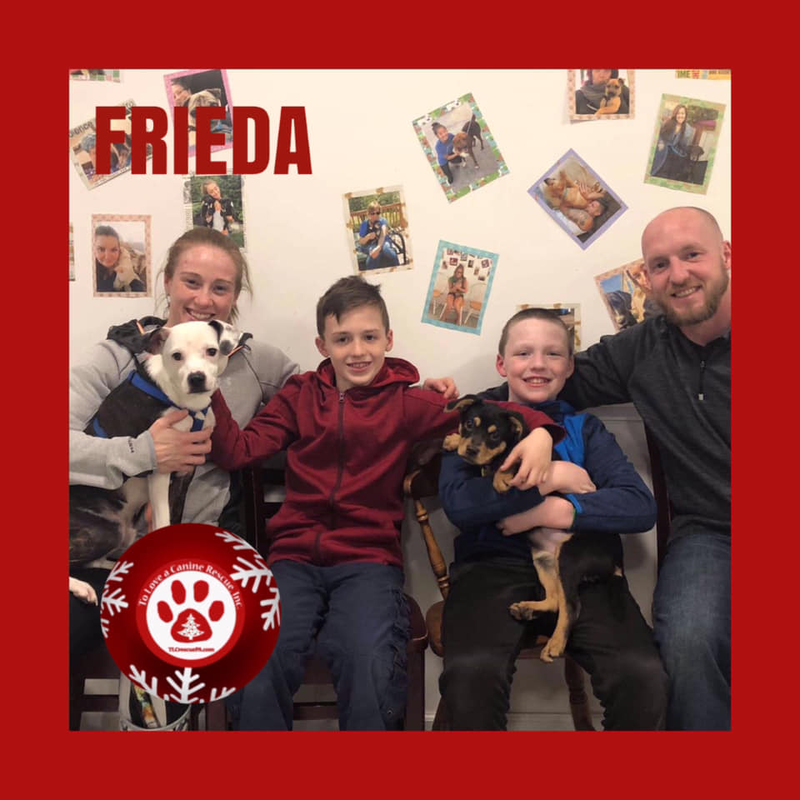 In the first 13 days of 2019, we have placed 57 dogs into their new homes! Would you like to join us in our quest to help those dogs that need it? We are always in need of volunteers and fosters. Follow this link to find out how you can join us. New year. New beginnings. New tomorrows. 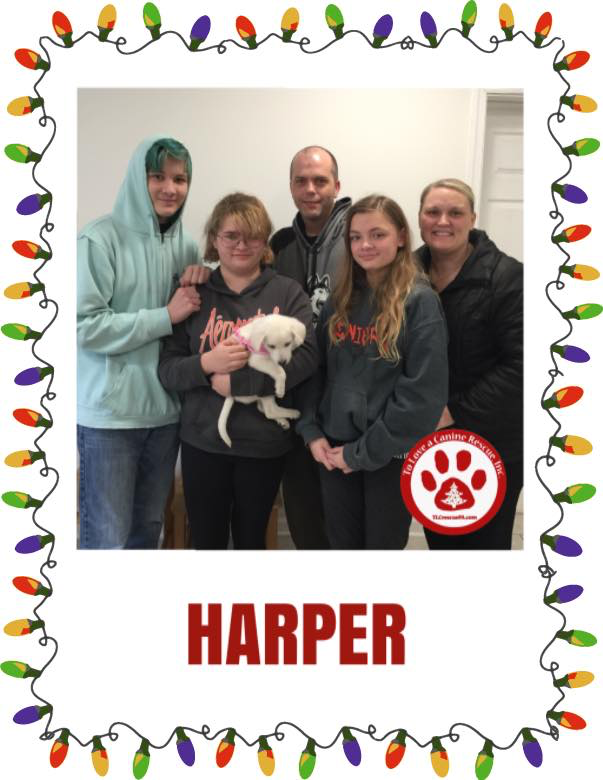 Week one of 2019 is in the books...we gave 20 dogs new beginnings and new tomorrows with their new forever families. 20 dogs took long freedom rides from down south and trusted us to save them and we didn’t let them down. We started strong in 2019 and we won’t slow down...until they all have a home. Today we wind down 2018 and begin to get ready for a bigger, better 2019. 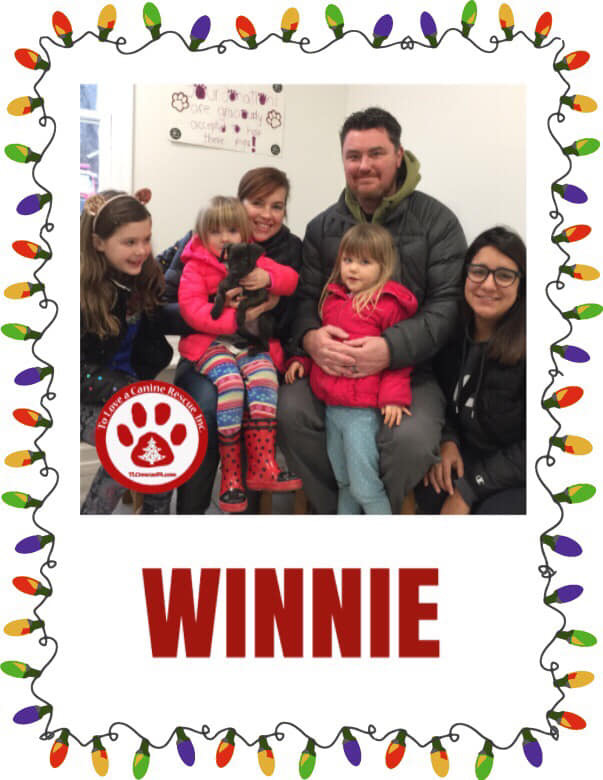 We had 9 adoptions this week and 64 adoptions in December. That brings us to 728 lives saved in 2018!! 2733 lives saved since TLC was founded in 2013. All of those lives couldn’t have been saved without the hard work and dedication of this great volunteer/foster based organization. This time of year is about love and joy. 14 families have more to love and be joyful about this week. They have a new dog in their home. TLC isn’t just about getting dogs adopted. We help dogs find the joy of a loving family. We help families find the love of a new family member and we help them celebrate that joy and love by finding them the perfect canine companions. Our goal is “Until they all have a home.” We’re 14 dogs closer to that goal this week! We sure had a busy week around here. 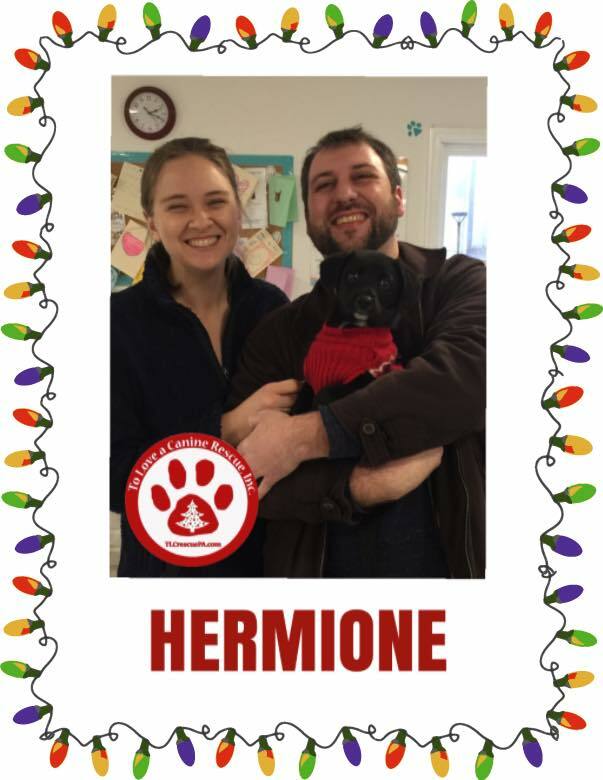 20 dogs found their forever homes just in time for Christmas! Featured this week are 5 puppies born in TLC’s care on October 31, 2018. We called them the Hocus Pocus puppies. Winnie, Max, Hermione, Mary and Sarah all were Christmas miracles a few days early. Born on Halloween, and adopted for Christmas. Their mom Bridgette will be available for adoption soon. Keep an eye out for her, and all of our available dogs, by clicking ‘adopt’ on our homepage. To Love A Canine, Inc is a a 501(c)(3) non profit organization. 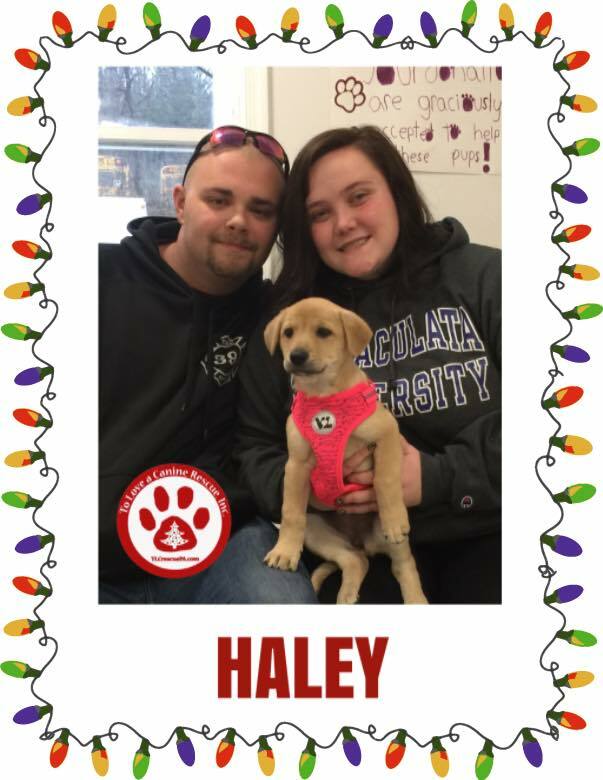 We rescue dogs from South Carolina, West Virginia, Mississippi among other places and finds them the perfect ‘furever’ homes, no matter how long it takes. Considering volunteering or fostering, click the ‘how you can help’ link on the top of this page.